There is no official event to determine the highest vertical jump ever recorded, but there are several events, mostly pro sports combines, that test jumping ability each year. This gives us quite a bit of data and shows us that the officially verifiable highest vertical jump ever​ is 46", by Gerald Sensabaugh and Jameson Konz. There are many other reports out there of massive jumps that would be world record verticals, many of which are probably bogus, as explained below. ​The official combine results are the best thing to go on, because the provide the only event for athletes to be formally tested. You can find best results, with some videos below. While the best athletes don't even necessarily compete in all events at pro sports combines, they are arguably the best judge of vertical leaping ability. While the historical data for these events isn't necessarily the best or most user-friendly, you can get a look at the best results ever recorded below. Because athletes in these sports are formally tested on it, they are naturally among the best heights ever recorded. There may be many other athletes capable of jumping even higher, but the only way to get a vertical well over 40 inches is to have a training program specifically designed for that, and the only athletes to do that are normally the one's whose future income depends on a great combine performance. The highest vertical ever recorded at the NFL combine was by safety Gerald Sensabaugh in 2005. At 6'1" and 214 pounds, he jumped an official height of 46". Sensabaugh, who played collegiately at North Carolina, would be drafted in the 5th round by the Jacksonville Jaguars and play professional football for several seasons. 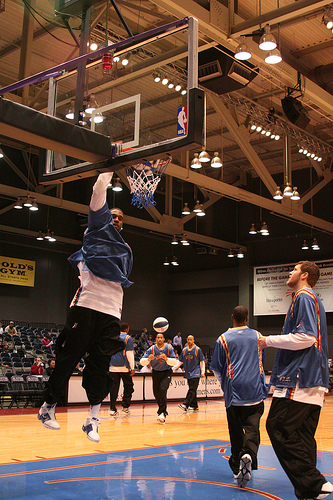 In 2001, Kenny Gregory jumped a height of 40" prior to the NBA Draft. He also had a 46" maximum vertical, which allows for a running start. Gregory, a 6'6" shooting guard/small forward out of Kansas, would go undrafted. He would go on to play several years in different professional basketball leagues. Shane Gersich, who played hockey collegiately at North Dakota, was drafted in the 5th round of the 2014 NHL Entry Draft by the Washington Capitals. At the 2014 combine, he recorded a vertical leap of 36 inches. At the 2014 Australian Football League combine, Marvin Baynham recorded a top jump of 88 centimeters, or more than 34.5 inches. He also recorded a running vertical of 95 centimeters, or just over 37 inches. Konz mark from above would count here, although I listed it under the NFL. It is tough to tell what the best vertical jump of all-time would be, because there are no official competitions and only the sports leagues above formally test for it. Whenever you hear a vertical jump height, you should clarify if it is a standing vertical or not. When most people give there number, they should be referring to a standing jump, without and steps or running starts. A running start, or even just an extra step or 2, allows your body to build momentum and accelerate before jumping and can add anywhere from a couple inches to several. ​Just picture a high jumper in track and field. They would never just stand by the pit and jump. They take a running start to accelerate and build momentum, which ultimately lets them jump higher. For the list above I only chose official, verifiable results. Unfortunately, anyone can claim they have the highest vertical jump ever recorded, especially online experts. There is no way to really tell if they are being honest or not, so any claims should be taken with a handful of salt. People who claim massive leaping ability without anything to back it up is even more ridiculous as NFL scouts trusting a stop watch when timing a 40 yard dash when there are automatic timing systems available. Even if there is some proof, you should be slow to trust unofficial verticals. Beside little dirty tricks to improve you max vert, ​there are also ways to just straight up cheat on an unofficial test. For just one example, imagine someone not fully extending when testing their standing reach. That alone could add a couple inches to your highest score. One quick note - you may see ridiculous claims online of vertical jumps well over 50 inches. I'm talking 60, 70 inches or more. These aren't accurate. What they are usually referring to is a box jump, which many people get confused on. A box jump is a plyometric exercise when someone jumps on top of a box or other object. Where as a vertical jump measures the distance between your tallest standing reach and the maximum point you can jump to, a box jump just measures the tallest point you can get your legs on top off. ​So you will see great athletes who can box jump 60 inches or more, but their actual maximum vertical is much lower than that. For an example, you can see a video of NFL defensive end J.J. Watt clearing a 61 inch box jump. Not to take anything away, as that is super impressive and requires amazing athleticism, particularly for a man of his size. But note that at the 2011 NFL Draft Combine, his official vertical jump was 37 inches. That is awesome, but it shows the difference between a 61 inch box jump and 37 inch vertical. The vertical jump isn't about how high you can get any one body part, it's about how high you can lift your entire body. If we were to use the box jump logic, we could just go by the high jump world record of more than 8 feet. Unfortunately, there is no great way to tell what the highest vertical jump of all-time really is. However, we can use the official results above to get a really good idea of what it could be. Because the vertical is really only an official event at pro sports combines, that is our best chance to figure out records. 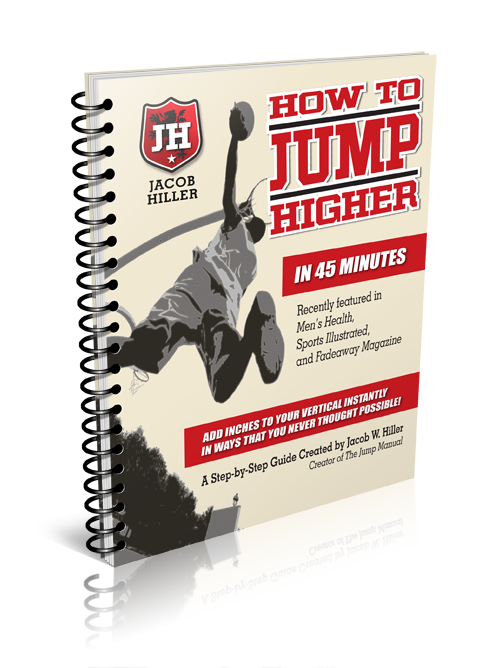 What is the Average Vertical Jump?